Phages are credited with having been first described in what we now, officially, are commemorating as the 100th anniversary of their discovery. Those one-hundred years of phage history have not been lacking in excitement, controversy, and occasional convolution. One such complication is the concept of secondary infection, which can take on multiple forms with myriad consequences. The terms secondary infection and secondary adsorption, for example, can be used almost synonymously to describe virion interaction with already phage-infected bacteria, and which can result in what are described as superinfection exclusion or superinfection immunity. The phrase secondary infection also may be used equivalently to superinfection or coinfection, with each of these terms borrowed from medical microbiology, and can result in genetic exchange between phages, phage-on-phage parasitism, and various partial reductions in phage productivity that have been termed mutual exclusion, partial exclusion, or the depressor effect. Alternatively, and drawing from epidemiology, secondary infection has been used to describe phage population growth as that can occur during active phage therapy as well as upon phage contamination of industrial ferments. 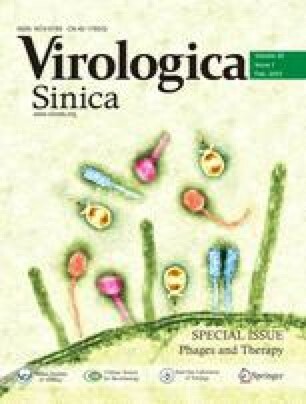 Here primary infections represent initial bacterial population exposure to phages while consequent phage replication can lead to additional, that is, secondary infections of what otherwise are not yet phage-infected bacteria. Here I explore the varying meanings and resultant ambiguity that has been associated with the term secondary infection. I suggest in particular that secondary infection, as distinctly different phenomena, can in multiple ways influence the success of phage-mediated biocontrol of bacteria, also known as, phage therapy.